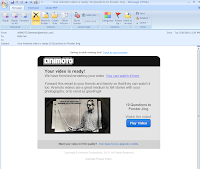 Animoto is a free tool that allows you to transform images and video clips into engaging videos complete with background music. Educators can apply for special animoto accounts that enable free access (for you and your students) to longer video formats and more features. We used animoto to transform our "after" slides. After watching the video, imagine other uses, including students presentations or digital compositions, videos promoting your college, department, program, or an event, or even a digital newsletter highlighting a recent meeting, event, or open house. Once animoto renders the video, you will receive an e-mail, to the address used to set up your account, with a link to the video. 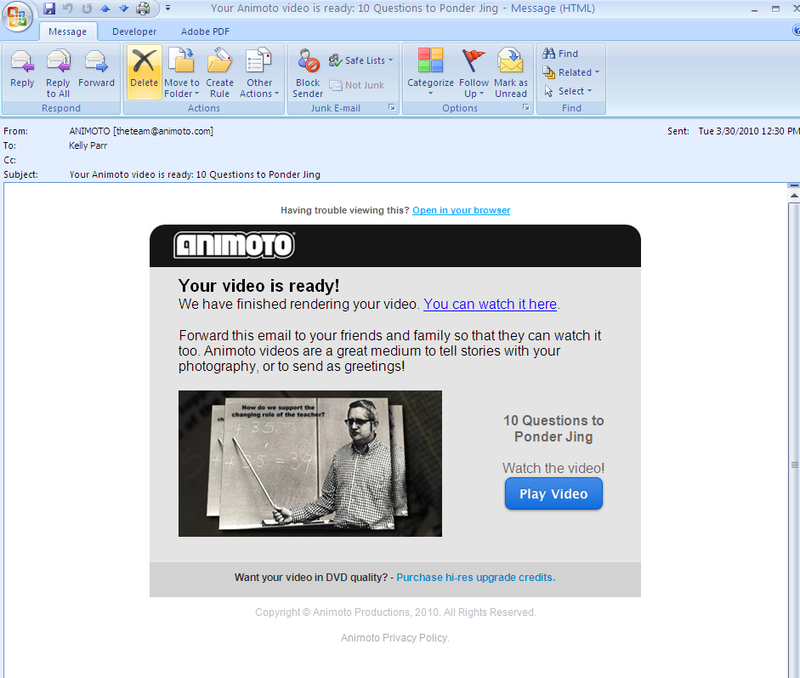 You can share the video using e-mail, embed, or other options available by logging in to animoto. Happy to see u r blog describing u r efforts in using web tools in teaching.